They started off as a filler in my muesli, but I grew an odd affection for the crunchy little seed and their bright green pops of colour in my breakfast each morning. So I started putting them in other things. Sprinkling them in my salad and egg mountain bread wraps. Scattering them in salads. Baking them into quiches. I even started invigorating them! Now, I have started toasting them with tamari – a tasty, nutritious snack that takes ten minutes to make (instructions below) and is a refreshing change from trail mix. It’s the new ‘salted peanuts’, and the tamari lends the pepitas a lovely savoury, Vegemite-y flavour. Please feel free to leave a comment below with your favourite recipes and ideas for using pepitas! 1. Preheat oven to 180 degrees. Mix 1 cup of pepitas with 3 teaspoons tamari in a bowl. Mix well to ensure all the pepitas are coated. 2. Have a taste – I like this ratio, but you might like it stronger. If you add more tamari, do it 1 teaspoon at a time. There’s no going back once you add too much! 3. Spread the pepitas on a baking tray lined with baking paper. 4. Toast in the oven for 5 – 6 minutes, shaking them up halfway through. 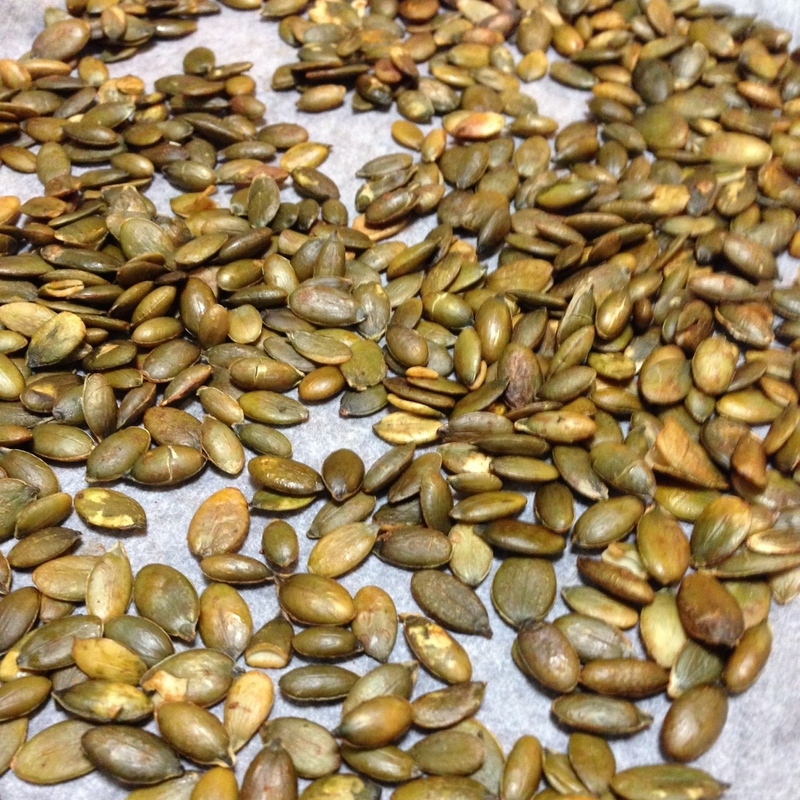 When they are ready, the pepitas will have a slightly browned toasted appearance, and they will taste DELICIOUS. 5. Attempt to store the pepitas in a jar or container without eating them all first.